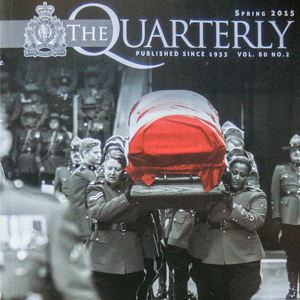 The Spring 2015 edition of The Quarterly is now being distributed. Subscription rates are $40.00 per year (taxes included) or $10.00 per issue (taxes included), for Canadian destinations. For other countries, please refer to the subscription application below. Note that payment by Visa or Mastercard is now accepted. Cheques or money orders must be made payable to “The Quarterly”. More details are available at the RCMP’s Quarterly Magazine webpage here.